Some Air forces (Like the Indian Air force) do not allow Color Blind pilots. Is this local only to the IAF or a global procedure? Also, are there any regulations regarding commercial pilots not being Color Blind? In fact, most militaries don't take colorblind people into flight school. Colorblindness can be a serious problem for a pilot, because in the interest of cost and/or simplicity, not all indicators in an aircraft cockpit are colorblind-accessible. It's really cheap to use a two-way red/green LED as a status indicator (and by quickly alternating the current through the LED you get amber); it's much more expensive in electro-mechanical systems to combine text and color so that the status can be deciphered by someone who is red-green colorblind. It becomes easier again in a glass cockpit, but that increases cost and there are still concerns like screen resolution to consider when designing text-and-color displays. While it's in the general interest of aviation manufacturers to design certain avionics with as many overlapping visual cues as possible, it's not always feasible to specifically design towards colorblind accessibility in every circumstance. Protanopia and deuteranopia are various forms of red-green colorblindness, the most common form of dichromia (protanopia is a deficiency in red cells, deuteranopia a deficiency in green; the results are similar because red and green are close in wavelength). 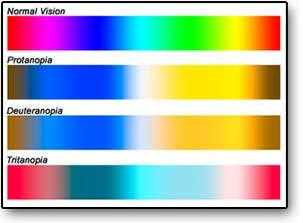 Tritanopia is commonly called blue-yellow colorblindness and is less common, with full colorblindness (monochromia) being very rare. Blue and magenta are indistinguishable, as are cyan and white. That makes your GPS useless over water; where's the magenta line? 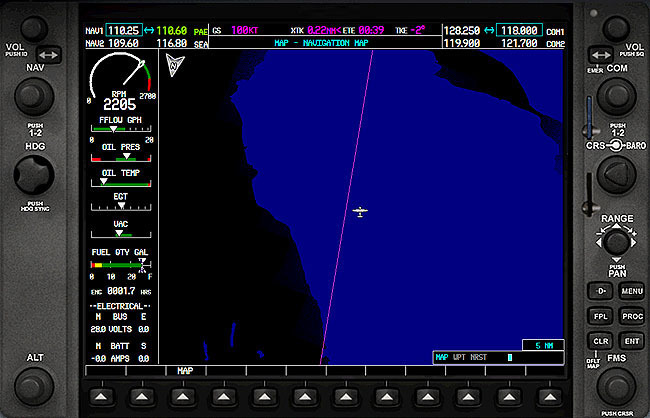 While you could probably get around most of these difficulties (buy a nav stack with blue LED displays, trace the borders of your sectional charts in something, configure the GPS to give you a white line, etc etc) these are all images that people with full color vision would be able to discern at a glance, which in an emergency situation is often a life-or-death advantage. That point is especially true for military pilots, who are typically subject to more rigorous medical screening and training including very high requirements for visual acuity (often better than 20/20 uncorrected vision). If you can't see extremely well in a combat situation, you will either fail to spot an enemy until he has gained a significant advantage over you, or you will fire on friendly forces; either way, you're a liability. Coupled with the fact that everyone and their brother grew up dreaming of being a fighter pilot, flight schools get to be picky. Therefore, military aircraft cockpits are typically designed with the assumption of full color spectrum perception, because the only people who will ever be in them will be able to tell red from green, blue from yellow. ... you are screwed. The fact the Phantom is maneuvering against you is what any pilot would do when approached by an aggressor aircraft; a Turkish pilot isn't just going to sit there and be shot down by friendly fire, he'll engage defensive, so you can either shoot and risk spending the rest of your life in Leavenworth for dereliction of duty, or break engagement, presenting your tailpipe to the other craft and hoping it's not hostile. Fifty-fifty shot either way with a hundred and fifty million dollar plane on the line, not to mention your life. Your first clue it's an Iranian would be a missile launch, and no matter how much more advanced USAF craft are now than in the era of the F-4, an aircraft that has successfully launched a short-range missile at you has you by the wrinkly ones. In addition, ground lighting systems are often not differentiable either. For instance, there is an important difference between a heliport beacon flashing green-yellow-white versus white-green-red (the one including a red flash is a hospital helipad and off-limits to gen-av traffic even in an emergency), but a red-green colorblind person may well not be able to tell the difference. Runway end lights are either green or red, indicating traffic direction (though there's usually a secondary cue of the approach array lights sequencing toward or away from the runway edge). 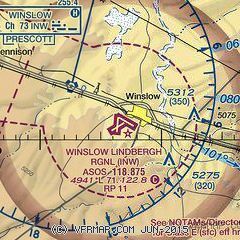 Similarly, to a person for whom red is indistinguishable from white, the red-over-white glide slope indicator at the end of the runway would be useless (this would typically happen only with full colorblindness). 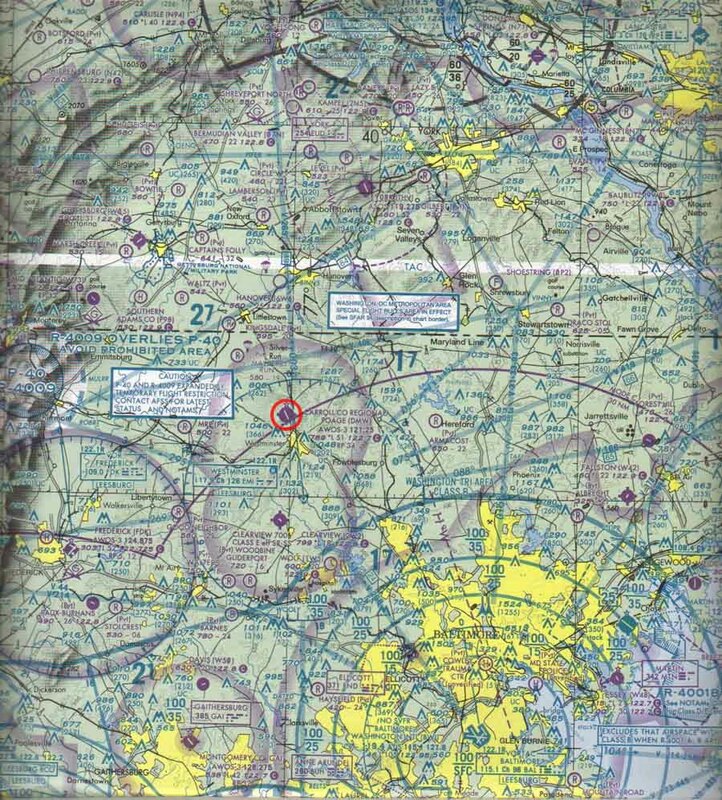 Blue-yellow colorblindness is the other major type of partial colorblindness, and it would cause other problems like decreasing readability of navigation charts (for instance, incorporated land areas are yellow on FAA sectionals, while Victor routes and class B/D airspace borders are different blues) and trouble negotiating taxiways as the blue taxiway lights would look the same as yellow-white indicator lights elsewhere on the tarmac. In the United States, military pilots must have full color vision. We have something like 100 applicants for every 1 position, so there is no question of accepting pilots who have vision problems. Military pilots are expected to have flawless vision. 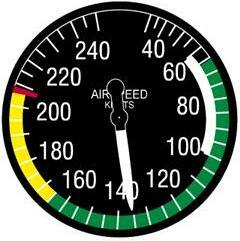 Vision, including color vision, is very important for all pilots, not just military pilots. Flying requires picking out tiny lights of different colors from long distances away. I remember the first time I did night flying, boy was that hard. You would fly towards a city with literally millions of lights surrounded by complete blackness and the instructor would say, "Where's the airport?" You have to visually pick out a tiny little white and green light from a long distance away out of millions of other lights. Red and green lights are very common. 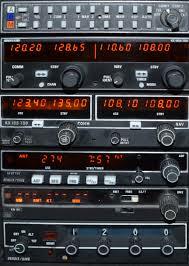 For example, the nav lights on aircraft are red and green. If you could not tell the difference, you might not be able to tell if another aircraft is coming towards you or moving away from you. There would be many other problems as well. Not the answer you're looking for? Browse other questions tagged pilots medical indian-air-force or ask your own question. How do you meet pilots looking for passengers? Is there any rule in commercial aviation, that two pilots in a plane cannot be a married couple? Does a pilot of Air Force One receive any special privileges?